The users can download Autodesk object enablers at free of cost. The users can apply object enablers to avail, display, and manipulate object data in applications dissimilar from their native environment. With this feature, the design teams, who produce or obtain files through Autodesk software, can easily access vital data. Specifically, the AutoCAD Plant 3D object enablers facilitate Navisworks users to directly recover property data at the time of evaluating AutoCAD Plant 3D models. Navisworks: If the users open a drawing that comprises external references, properties for AutoCAD Plant 3D objects in external reference drawings may be invisible. In order to get a solution of this issue, remove the NWC file for the external reference, load Navisworks, and open the external reference DWG prior to open the master drawing. CADbro from ZWSOFT introduced CADbro, one of the most robust CAD viewers presently existing in the market. CAD viewers facilitate both technical and non-technical users to produce their 2D and 3D product deliverables straight from the CAD data. CADbro optimizes data exchange process as well as interactive 3D CAD viewing, 3D annotations and superior analysis power. Besides, it can be used for strong healing, direct editing, assembly check, animation and mold assistance tools. CADbro offers immense benefits to the product design and manufacturing industry. It can be applied throughout the whole lifecycle of a product among different teams together with engineering, sales, marketing, project management, manufacturing and purchasing departments, to verify product manufacturing information along with data exchanging, interactive 3D CAD viewing, colorful 3D annotation and even advanced analysis capabilities generally found in more powerful CAD packages. The uses can access a limited-time trial version (engineering.com/) of CADbro at the company’s website. If the users prefer to apply CADbro for full time, they can avail the full version (www.engineering.com/LinkClick.aspx) for $1,500. With the introduction of Revit 2017, it is now possible to arrange a distance fade. It will reproduce the effect of things in the distance looking fainter in the distance than elements in the front that leads to the effect of a simulated mist, haze or fog to give a real look to section or elevation views in Revit. Section, showing Cueing Effect: While writing Distance Cueing, it may not be accessible for Camera views and the help menus appear to authorize this by only mentioning Section and Elevation types of views. Typical Pre Revit 2017 Section View: While arranging the Distance Cueing Views, take the View Discipline into consideration. While going to write this fading of elements in view settings, it is only presented for Architectural and Coordination disciplines. To arrange distance cueing for a view, make sure that clipping is allowed with or without a line as well as the discipline is Architectural or Coordination. Establish the clipping line to the extreme points of viewed objects. Then enable the section/elevation view. Select the Visual Styles Icon located at the end of the screen and activate the Depth Cue settings. (if they are greyed out, it indicates an improper discipline view or a camera). Autodesk just introduced the 2017 version of AutoCAD Civil 3D with some advanced features which will simplify the civil engineering and infrastructure design process. 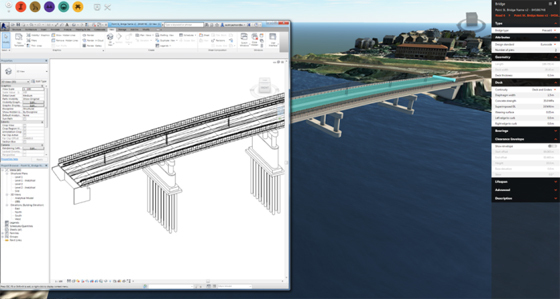 Interoperability: There is a connected workflow with InfraWorks 360, that will enhance collaboration amid project team members. With this feature, the users can import infrastructure objects, together with roundabout designs & other infrastructure objects out of InfraWorks 360 into Civil 3D. Besides, the users will get the ability to generate property set definitions as well as include them to drawing objects and utilize this property data in other applications like Navisworks and BIM 360 Glue. Legacy Workflows: There are numerous enhanced features Civil 3D 2017 which range from DREF, the option to Cache DREF Surface, Subfolders for Objects and Reference Styles to control the drawing styles and standards in a superior way between team members. Pipe Design: There is a wide-spread library of pressure pipe content for HDPE, PVC and steel pipes. It will provide details like supplementary fittings and valves for flanges and mechanical fittings. The new content is presently accessible in imperial sizes. Civil 3D 2017 also contains new pressure pipe content for HDPE, PVC and steel pipes. The software offers more unified workflows to facilitate improving the complete lifecycle of infrastructure projects. 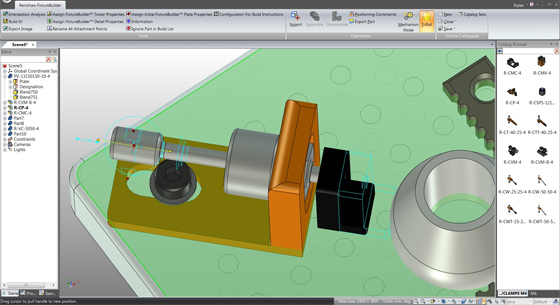 Renishaw introduced FixtureBuilder for 3d modeling professionals. It is a 3d modeling package to facilitate the formation and documentation of fixturing set-ups. The software is applied with a CAD model of the examined part that can be imported into FixtureBuilder, so as to the fixture is developed around it. The complete set-up, together with the examined part, will be exported into inspection programming software. FixtureBuilder is capable of importing and exporting most common 3D CAD files (Parasolid, Step, ACIS, STL, IGES, etc.). There is a supplementary translator module for CATIA, ProE, UGNX, Solidworks and Inventor accessible for purchase. With it, the users will be able to generate custom fixturing set-ups and components, like custom plates, and preserve them in user-defined libraries for being used later on and reference. 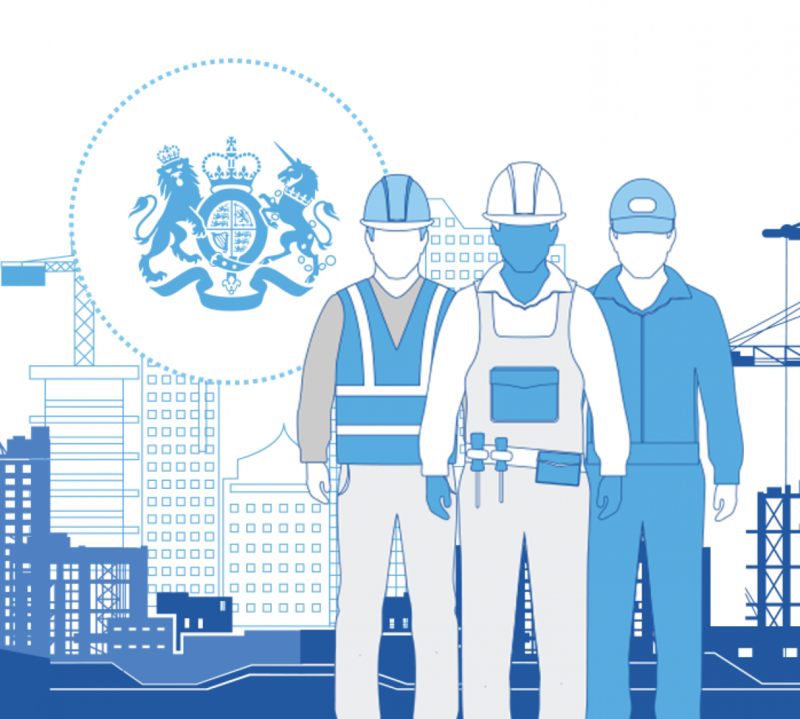 There is a ‘Build it’ function in the software that can automatically generate a comprehensive Bill of Materials and work instructions for each fixture set-up, and allows to adhere to ISO, QS9000 and other quality standards. Other crucial features are Primary benefits include clear, methodical component libraries; smart “drag and drop” functionality; instant management of parts; and a simplified constraint mechanism. A wide array of Steel-Line garage door products can be accessed as 3D Revit files Steel-Line Garage Doors has just introduced 3D Revit models of their leading products. These consist of models from their most recognized Inspirations aluminium framed garage door range (www.steel-line.com.au) as well as five sectional garage door profiles in the DecoWood®, DecoVogue® and Colorbond® Classic colour series. It is now possible for the Revit users to choose from Steel-Line’s products directly within the Revit program. 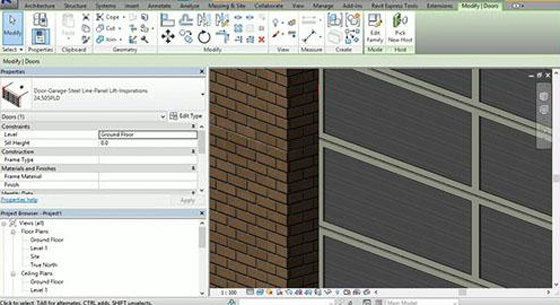 The Steel-Line Revit plugin facilitates the Revit users to include numerous garage door options to a project with a single click of the button, directly from inside Autodesk Revit 2016, 2015 or 2014. The 3D Revit models consist of reorganized technical information and simplify the work of the architects, specifiers and builders. The existing revit users can access the Steel-Line 3D Revit models through company’s website (www.steel-line.com.au). There is an extensive interactive gallery that allows the Revit users to preview and download Steel-Line’s BIM files and colour swatches in the one, easy-to-use location. FARO Technologies, Inc. has launched PointSense and VirtuSurv 17.0. Both are laser scanning plug-ins for the Autodesk environment that facilitate smooth integration with the current Autodesk 2017 product line. With both the PointSense and VirtuSurv 17.0 programs, BIM-CIM CAD designers can obtain extensive set of tools to simplify the process for converting enormous point cloud data sets into intelligent 3D models. Customers can opt for software modules which are equivalent to their particular workflows. 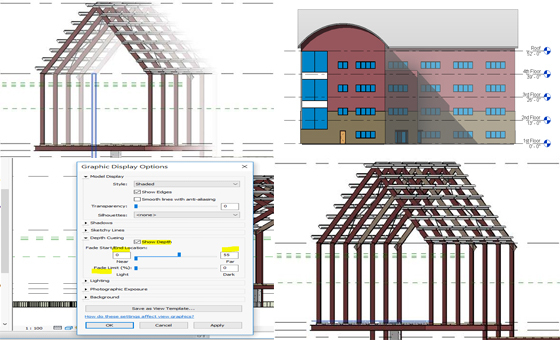 These plug-ins are accessible for both AutoCAD and Revit. PointSense for Revit 17.0 now offers support for “work-sharing” projects, assisting all BIM-CIM stakeholders to instantaneously apply PointSense on a common Revit project file. Besides, an improved wall-fitting tool facilitates the users to pull out walls out of point clouds devoid of scanning both sides of the wall. Accessibility: PointSense and VirtuSurv 17.0 are available for instant delivery and a limited-time promotional offer, when assembled with FARO’s top-notch BIM-CIM Laser Scanner, is available until June 24.